I recently bought the framing plans for the Tumbleweed Fencl after attending Tumbleweed’s tiny house workshop here in DC this past summer. I plan on doing my interior differently than the Fencl and am still in the design phase of the interior. While I don’t plan to actively travel with my tiny house, I do expect I’ll move it a few times. 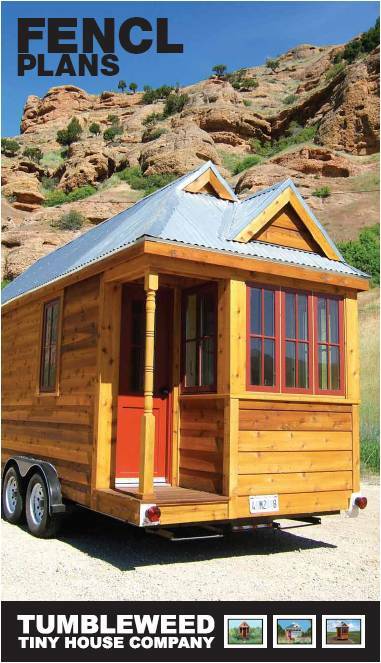 Therefore, I want to follow the advice given by Tumbleweed Tiny Homes to keep it within the width and height allowances that make it easy to drive on most major roads in the country without a special permit. Most Tumbleweed models are 8 feet wide by 16 or 18 feet long and include a loft for sleeping and a front porch. I am going to build mine out to 20 feet long and not build the porch that is standard on most Tumbleweed models. Since I don’t plan to move it that often, I will build up my own little deck or patio that is removable so I can use that extra few feet of the trailer as interior space. Protohaus – they have done a great job with the design of the interior and should their plans be available in time for my build I will buy them. Click for more pictures. Chris and Melissa’s Tiny Tack House in Washington State. They have beautiful photos of the interior on their blog. Love, love, love. It’s going to be amazing.